Well known for its beaches, the city of Torrance attracts every year more and more people to explore and live here. The city is a part of Los Angeles County with a population of 147,223 people. If you are considering moving to Torrance, you are about to live in a very beautiful city. Our local movers would like to help you with relocation. California Movers Company offers high-class services for everyone. With us, your relocation procedure will be quick, efficient and worry-free. Contact us today by phone number (415)-579-2747. Our team worked hard to become the best moving company in Torrance, CA. Every single order we perform properly and the most quickly. We care about our clients and trying to make every relocation procedure most conveniently. For example, if it is necessary we can work outside your official working hours or even at weekends. We practice such an approach to make this experience less stressful for you. Local moving – if you are changing your place of living and need to relocate your possessions from one part of Torrance to another, just call us. The professional crew will help you to make it in the most proper way. Office moving - our professionally trained movers know how to perform successful business relocation. It includes proper packing and loading of all the office appliances, paper and furniture. Storage facilities – we can store your goods in our climate-control units. When you need them back we will deliver everything right to your new address. Piano movers – our movers in Torrance, CA also work with big furniture and pianos. Since it is a very hard piece to transport, we have prepared special equipment to move this musical instrument in a safe way. Packing service –we offer a packing service just to ensure secure transportation of your goods. We supply the packing materials and perform loading as well as unloading at the final point. Many people decide to move to Torrance due to its low crime rate. For many years the city has been considered as one of the safest places to live in Los Angeles County. Closeness to the Pacific Ocean makes the weather in this area very specific with warm summers and about twenty days of rainfalls per year. The city’s streets are full of greenness – there are 90,000 trees in the Torrance. The city’s government form is Council/Manager. Our Torrance movers are always ready to take your order and start a moving procedure. To contact us you can fill the form on the website. Huge income to the city’s economy brings the presence of the U.S. headquarters of Japanese automobile manufacturer American Honda Motor Company. Besides that, Torrance is a home for a plenty of high-tech companies. Our Torrance moving company will be proud to help you make this first step into a new life with a successful move. Cultural life in Torrance is very rich and full of events. For example, the Torrance Cultural Arts Foundation provides a number of festivals in the city for the whole year. You can attend lectures, music concerts and entertainments for children. 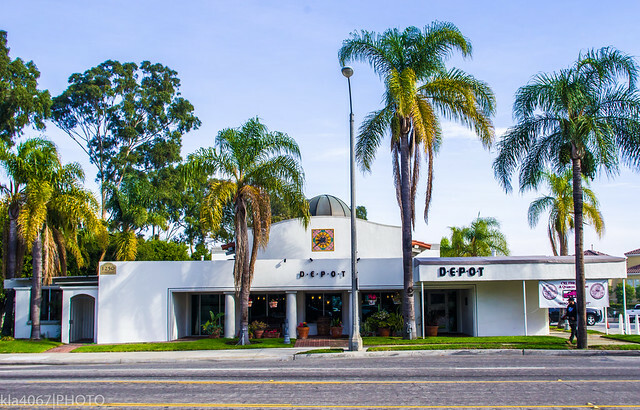 The city of Torrance has some historic landmarks and buildings. There are examples of Mediterranean Revival architecture and works of famous American architecture Irving Gill. The city’s Parks and recreation department is always working on the quality of recreation facilities. Today there are 30 parks in Torrance where you can enjoy different kinds of activities.